Six pals sit side by side, Jill Howitt (later to be Mrs Jill Bagnall) is on the right. 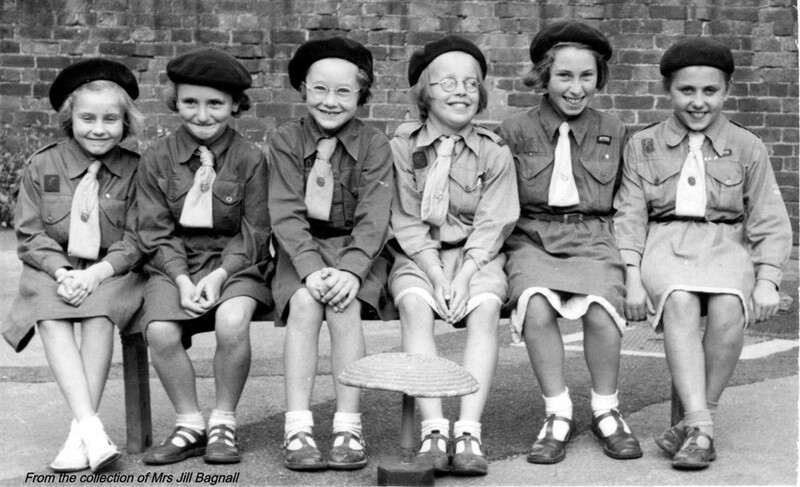 From right to left: ?, Maureen Guy, Magaret Pearson, Brenda Taylor, Pauline Gilbert, Jill Howitt. The location may be in the yard of the old school, but this is not certain.